Ok so we all know that there are essential baby items we can't live without, but what about more general baby stuff? A look at 'everything else' that baby needs. Since the world learned how to share information, we've often felt compelled to buy products and services that we don't always need. However, when it comes to having a baby, and raising a family, just what can we get away with not buying or needing? A look at some of the baby stuff that, whilst not immediately imperative, is still relatively important and worth spending our money on. Just What Is Baby Stuff? Anything t hat doesn’t come under an average baby gear list can be relegated to baby stuff. These are the accessories, the baby products that make up the nursery, products that parents use at bath time, feeding time and so on. There’s a whole host of items that are just as important as the larger, more expensive ones and, sometimes, these are the things that parents can’t manage without. As an example, diaper bags are a must-have accessory, and yet you don't need to rush out and buy one. The above list can include anything that you use or reach for on a regular basis. The idea revolves around the fact that most diaper totes are spacious, full of pockets and niches, which allow you to use them to store lots of related bits and pieces. On top of that, most moms are pretty mobile. Many work and need the bag ready to go first thing on a morning. Some may enjoy regular outings with baby, or spend time at local baby related groups and social meetings. Of course a diaper bag isn’t the only type of baby-related product that most parents will need to go out and purchase. There’s a vast array of things that somehow find their way into your home, nursery or both, no matter how much you try and manage without them. As baby grows, so does the need to replace stuff or buy things that are more appropriate according to their age and progress. Baby jumpers, baby walkers, infant toys, books, the list (sometimes!) feels almost endless. 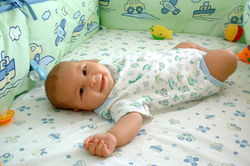 To help you figure out what you are likely to buy once your baby comes along, we’ve collated a list of relevant baby stuff that should work whether or not you’ve had a baby boy or girl. Over and above you stroller, crib and car seat, it’s a good idea to think about what else you may need for baby’s first year. Although the time seems to go by in a flash, it will go by a lot smoother if you’re fully prepared for what’s ahead. The list of baby stuff you may need over the course of the first 12 months is set out below, and of course we’re not saying buy one of everything! It’s a list of probable’s, the more commonly used/bought baby products, so don’t suddenly rush out and spend more than you can afford. Again, the above list is not exhaustive, there will be items that don’t appear on here that you may well need. On the other hand you may not need or want a high chair, a playpen or a baby jumper. As long you buy what’s necessary, you’ll do just fine. Try not to be swayed by hype or fashion, no matter what you buy. Having a baby does incur a lot of expense over a period of time and shopping sensibly is definitely advised! Having had children ourselves, we know how effortless it can be to become easily swayed by the latest, greatest … whatever! Trust me, we’ve both gone a little crazy from time to time. There’s so much baby stuff on the market, or being released it’s no wonder that we’ve both felt a little guilty now and then! We have to include the baby shower. Why wouldn’t we? Baby showers are awesome fun and such a wonderful way to get together with friends and loved ones, before or just after your baby is born. Even better, they’re a great way to cross some of the more important baby stuff that you’re likely to need off your list. Of course a shower requires that you create a list (another one!) as it enables your guests to know who is going to buy what, plus you get to include your favorites things from a ‘wish list’ of things you’d love to receive as gifts. It’s also highly likely that you will receive items of clothing, and anything that’s practical and/or useful. A favorite baby shower gift that I've stumbled upon is a day at a spa, which can be enjoyed by mommy sometime after the birth. This is what makes a shower so much fun. You get to spend time with all your friends and family, celebrate the birth of your baby (or his impending birth if you have it beforehand) and you’re gifted with thoughtful, useful presents. If you’re having one and you have the time, then it is a good idea to at least help those you've invited to pick from a range of baby items that you know you’re going to need but haven’t yet bought. It’s a great opportunity to make sure you’re fully prepared, plus you’ll get to have a ton of fun in the process. Of course you can always show your appreciation by choosing some lovely baby shower favors … and you may well find yourself receiving practical advice about your baby stuff list!